CONVERSATIONS is a weblog ('blog' is an ugly word) for wordsmiths. The site is also a vehicle to give my books (my ideas?) a hearing. I have selected a 'free' platform to begin this project. Advertising, apparently, will happen. If this becomes intolerable, I will simply stop. My goal with the weblog is to post weekly some 300 words of intelligent 'conversation' without error or inanity. After a brief hiatus, the conversations begin anew. Thus far no advertising has appeared. The reason for this is probably due to the paucity of active readers. No point in wasting copy if no one is there to snap at the bait. This works for me. The usual advice to writers is to find an audience and tailor the verbiage to suit the reader. Advertising makes this point admirably. Ad nauseum. My advice for writers (and for all other sapient creatures) is to use intellect guided by experience to satisfy one's self (or, oneself if you prefer) as one creates not only written work but a life as well. The basic premise, of course, is that we create our own reality. As noted in the second installment of CONVERSATIONS, Wittgenstein it was who wrote: In most cases, the meaning of a word is its use.1 This phrase from Philosophical Investigations, published after his death in 1953, is often given as: The world we see is the words we use. 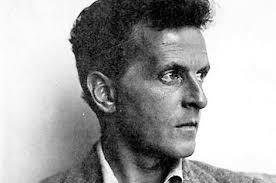 Wittgenstein may or may not have written or spoken that version of his famous dictum. In short, we create our own reality. So. What is to follow over the next few weeks is a discussion of the novel in general and Samuel Becket's novels in particular. In addition, I intend to begin serialization of a work of my own that has begun but not yet ended. The Blind Geisha may or may not be a novel. It is intended to be a novel, but one never knows. 1Ludwig Wittgenstein, Philosophical Investigations, Anscombe translation, Basil Blackwell Ltd, Oxford, 1958, # 43.